What's so special about an old 486? At first glance, this machine seems like nothing special. But digging into its innards, one quickly discovers that it's a prime example of an EISA machine. With the PS/2 family, IBM moved to its proprietary Microchannel and required a hefty licensing fee from any company that wanted to build motherboards or cards using it. This didn't set well with the then major players in the computing industry. 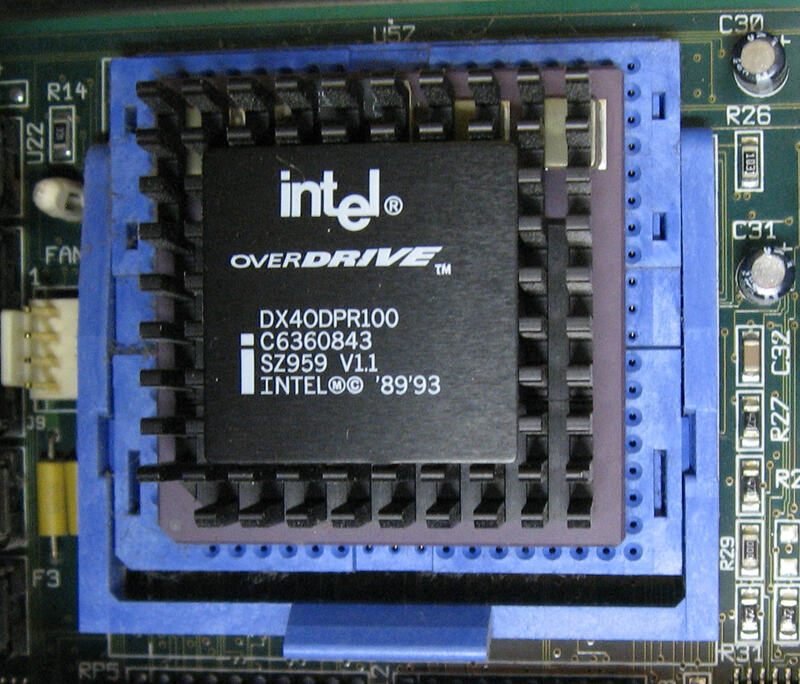 Compaq, Intel,..., sometimes know as the "gang of nine" countered with a modern bus of their own design. They wanted their bus to be backward-compatible with and able to accept ISA cards. It became known as the "Extended ISA" bus, or just "EISA" for short. See the IBM Microchannel pages for a comparison of the various PC bus architectures of the day. As the model number indicates, this machine was originally equipped with a 66Mhz 80486 CPU. 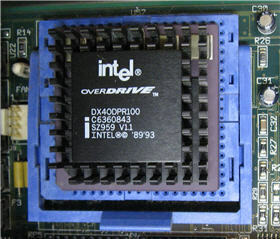 However, somewhere along its career, it was upgraded with a DX4 100MHz "Overdrive" CPU. It's also equipped with 48Meg of RAM, ATI Mach32 onboard video, a Mylex 960 3-channel EISA RAID controller, a 3Com EISA 3C579-TP network card, Sony 2x SCSI CD-ROM drive and four Seagate Hawk ST31055N, 1GB, SCSI-2 hard drives.